Hi everyone! I hope you had a nice weekend. I finally was able to plant some flowers and herbs. The deck looks so much happier now (although I’m not finished). 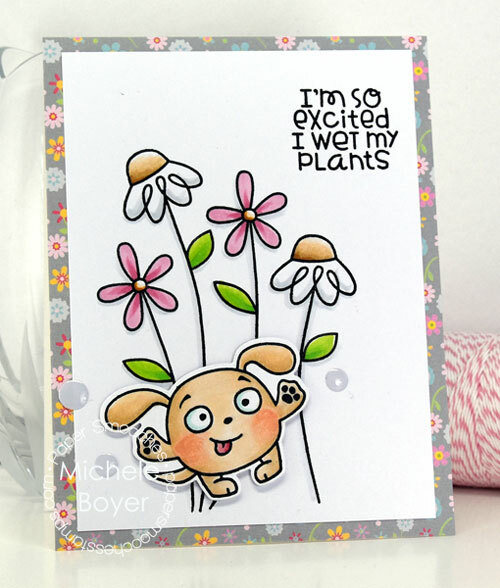 🙂 In honor of my freshly planted garden and deck, I created this fun card using Twiggy Florets and Comforting Hugs from Paper Smooches. 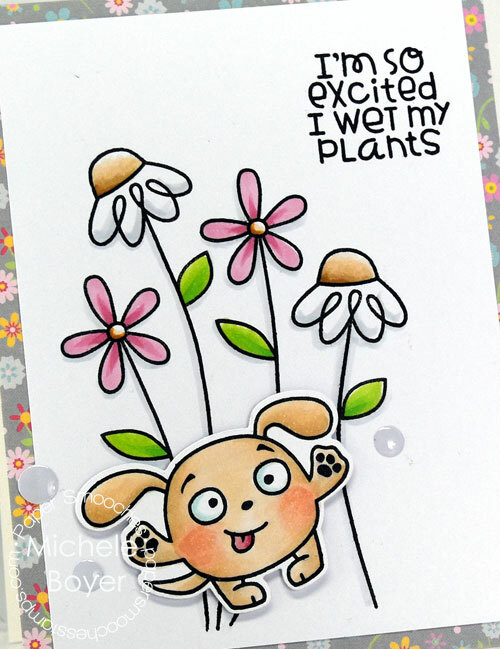 After stamping the flowers, I colored with markers, then stamped, colored and die-cut the little dog using the coordinating Comforting Hugs Icons die (which is currently on sale). Pretty Flirty Florals patterned paper is from Queen & Company and enamel shapes are from Taylored Expressions.